iHover is an impressive hover effects collection, powered by pure CSS3, no dependency, work well with Bootstrap 3. It’s built with Scss CSS (file included), easy modification with variables. There is Modular code, no need to include the entire file. 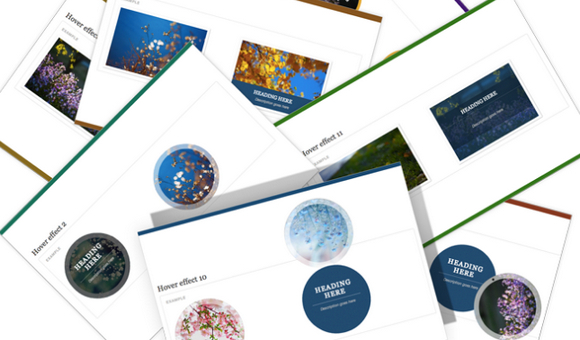 There are over 30+ hover effects in one pack. And it’s well documented. iHover is pretty easy to use. All you need to do is to write some HTML markup. You just need to include the CSS file and you are ready to go. Strange name… iHover, since it won’t work on an iPad or iPhone. A site that I’ve been using to create css hover effect is http://www.generatecss.com. If anyone is needing some help that’s the website to check out.